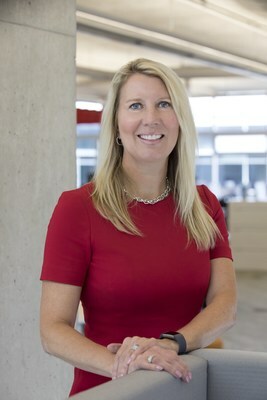 BRAMPTON, ON, Jan. 15, 2019 /CNW/ - Today, Loblaw Companies Limited (TSX:L, "Loblaw") announced that Sarah Davis will assume expanded responsibilities in her role as President. In addition to day-to-day oversight of Loblaw's business performance, she adds full responsibility for the company's 13-member Management Board, and expands her direct-reporting lines with the addition of Finance and Human Resources. Davis continues to report to Galen G. Weston, who becomes Executive Chairman, Loblaw Companies Limited. Loblaw's executive leadership is otherwise unchanged as a result of this announcement. In her 12 years at Loblaw, Davis has served as Chief Financial Officer, Chief Administrative Officer, and the executive lead of most business and operational functions. She has been President since January 2017. "Sarah and I have worked closely for over a decade, and she has played an important role in many of Loblaw's most defining moments: the formation of Choice Properties, the acquisition of Shoppers Drug Mart, the creation of PC Optimum, and a long-term strategy that demonstrates our passion for customers," said Weston. "Together, our team has put the company on an exciting strategic path and Sarah is a great leader to take us forward." As Executive Chairman, Weston retains senior executive oversight of Loblaw's long-term strategy, while applying greater attention to a broader transformation strategy at parent company George Weston Limited (TSX:WN) where he is Chairman and CEO.